I like white vans. And since this is Friday, I at least want recently to have encountered, virtually or for real, something feline, but with a bit of a difference from the usual internet felinities. More about the enterprise in question here. 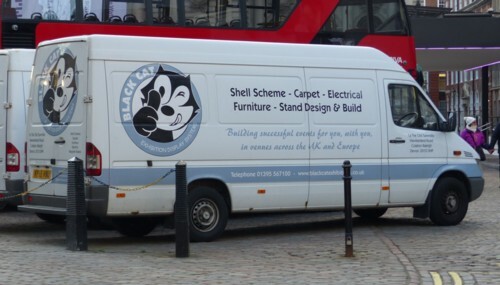 It is surprising, to me, given how much attention cats now get in the popular culture, how few enterprises use cattery to advertise themselves in this kind of way.